There are four egg cups, which have been decorated with a cross punch, pierced pattern and rippled edges. 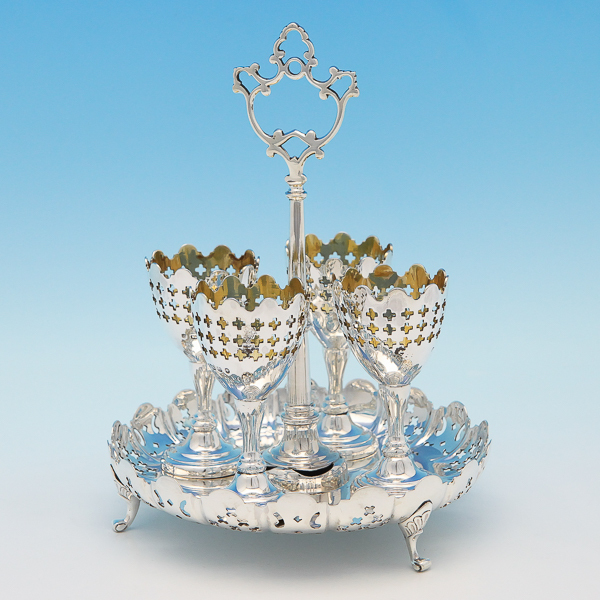 The egg cups stand on a footed frame, which has the same delicate detailing. The frame has a central handle and, once you pop those eggs into the cups, the whole thing is easily transported from kitchen to table, with elegant ease.